Play and record all kinds of music with Steepletone. 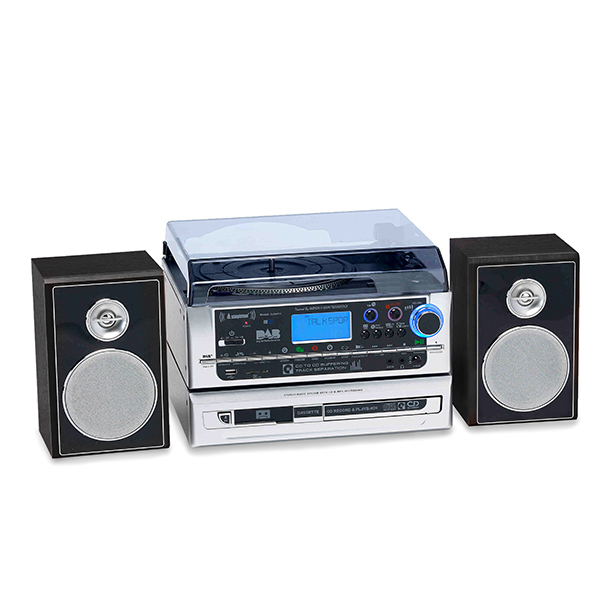 Steepletone Atlantic Modular Music System with 3-speed Turntable, DAB+/PLL FM Radio, Cassette and CD Recorder Plus 8GB USB Drive. 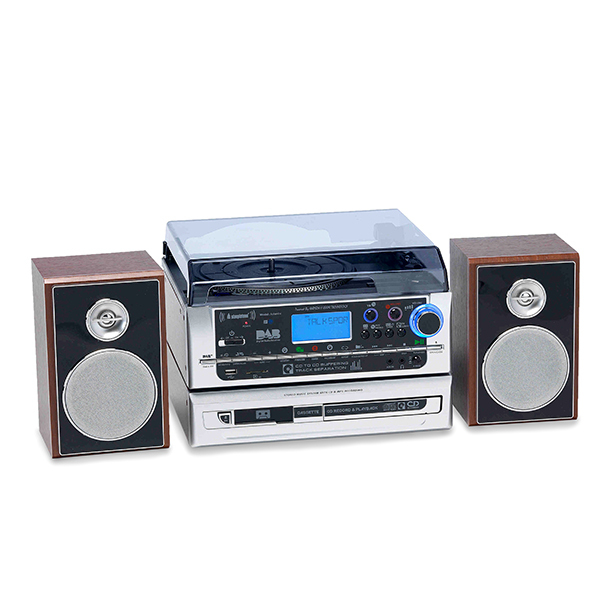 A 6-in-1 modular Hi-Fi music system with 3-speed Pro-Deck' style Turntable (33/45/78rpm), Pitch Control, Strobe illumination and Auto-Stop Switch, DAB+ Digital and PLL FM Radio and remote control. Available in Black and Dark Wood effect with silver front. 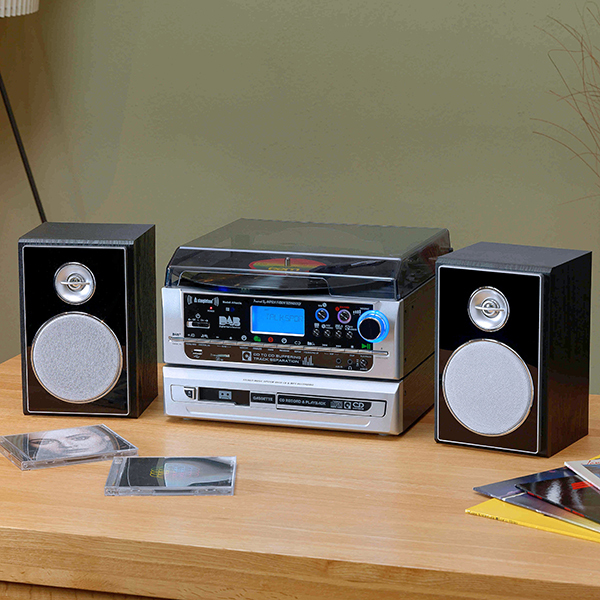 Set up your music player in any way you want with this modular system, packed with features that allow you to play any type of music media from vinyl to cassettes to CD to digital files. The fantastic Atlantic music system records directly to CD or mp3 format and copies CD-to-CD via USB buffering and DAB+ radio, while the pocket-sized sports receiver lets you listen on the go. Line-out Jacks (RCA: L and R) for connection to an external Hi-Fi /Amp/PC, etc.